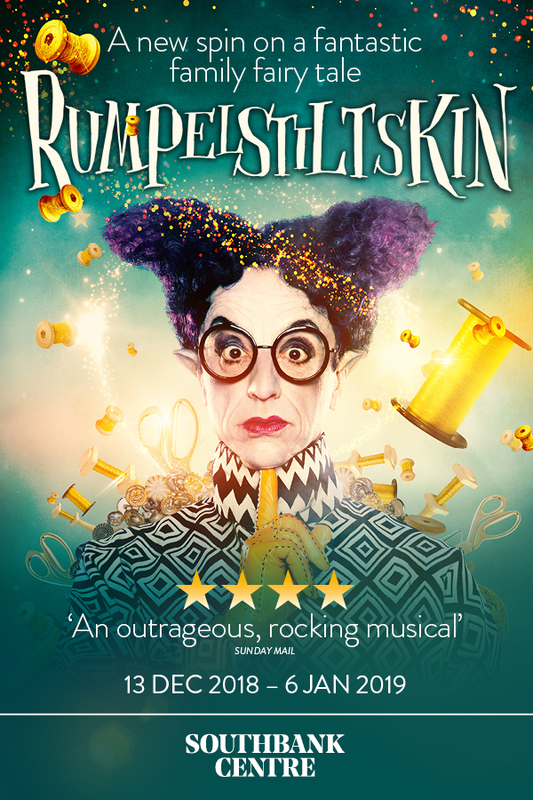 See the UK premiere of this retelling of a beloved family fairy tale, reimagined with lashings of magical mayhem, rocking music and supreme silliness. In this ground breaking theatrical spectacle that is anything but traditional, wonder at the visually stunning costumes, hyper-modern set and larger-than-life characters and delve into a fantastical world, fizzing with fun and laughs. Although this show boasts oodles of style and entertainment, underneath the lavish exterior lies a vital lesson for all on the price of greed and revenge, and how love triumphs over hate. Spinning straw into gold may afford you a big house full of beautiful things, a wardrobe of designer clothes and a life of total luxury, but money, as they say, can’t buy you everything. The exquisitely mercurial Australian singer and cabaret legend Paul Capsis stars as a shape-shifting imp whose thirst for vengeance may well undo him. He joins the team that brought you the award-winning Pinocchio, as they reinvent a new and equally fantastic fairy tale, stamped with their unique brand of storytelling. This clever, contemporary and culturally engaging show has something for the whole family seeking something delightfully different this winter. A Windmill Theatre Company and State Theatre Company South Australia production.